I must say, these are the prettiest deviled eggs I have ever made. 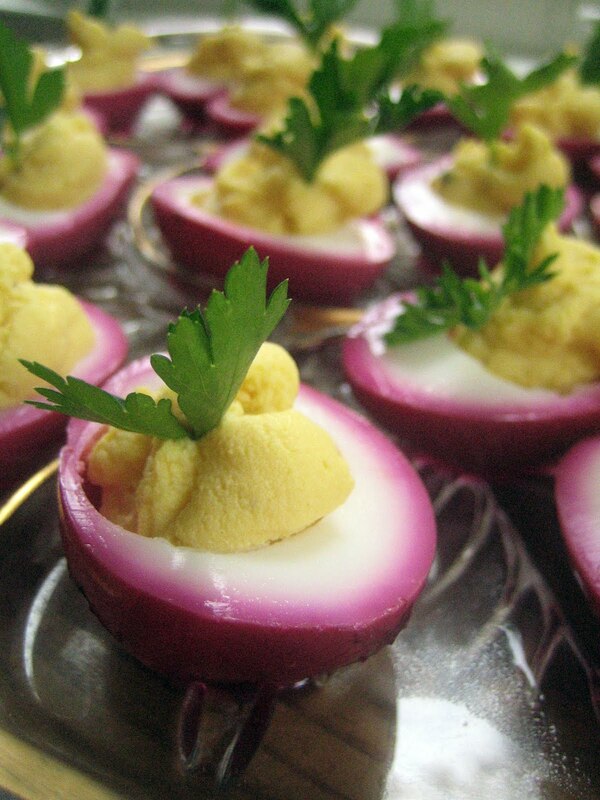 When I saw Ashley Rodriguez’s Beet Pickled Deviled Eggs, I fell in love with their charming pink tint. And then Food52 shared a recipe with a secret ingredient to make an egg filling extra smooth and creamy. Well, I needed no further inspiration to combine the two recipes and start hard-boiling some eggs! 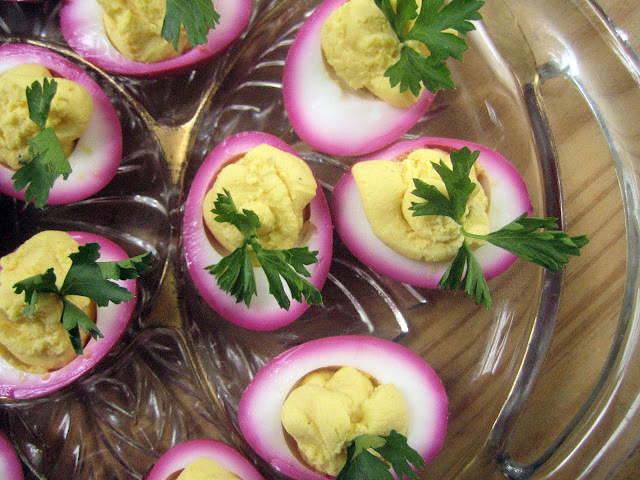 Deviled eggs are perfect for this time of year. Our backyard hens are laying again after their respite during the dark winter months and I am positively gleeful to gather beautiful eggs from the nesting boxes every day. For the Passover meal, it is traditional to put an egg on the Seder plate to symbolize new life in the spring season. We then eat hard-boiled eggs before the main meal begins (this helps hungry children stay focused) and sometimes I serve deviled eggs as an option. These deviled eggs are an ideal choice! My family happily devoured a platter of these luscious eggs and is patiently awaiting the next batch. Soon, I promise! You can find the Pickled Beet Deviled Eggs (for the pink egg whites) here and the Food52 Deviled Eggs (for the egg filling) here. Thank you, Lauren! These would be perfect for Easter lunch. Deviled eggs are such a lovely spring treat, and definitely a terrific way to enjoy the eggs from an Easter egg hunt! Oh, thank you, Mairi! Have a lovely weekend! I love deviled eggs! And these are just beautiful and perfect for a holiday weekend. I love your idea of using them in a Seder dinner :-) Happy Passover, Hannah! Thank you, Susan! I hope you enjoyed a lovely holiday weekend! These really are beautiful, and I'll bet the addition of butter really does make deviled eggs even better! Thank you, Rowdy! Once again, butter makes everything better... :) Have a wonderful week! What a clever idea!! These look outstanding. I adore deviled eggs. 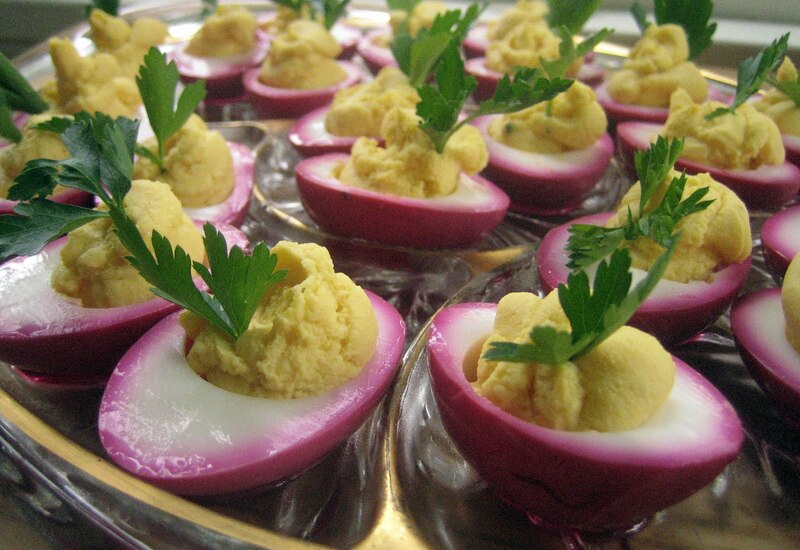 A few other fave recipes of mine are Smoked Salmon Deviled Eggs and Soft-Boiled Eggs topped with Anchovy Aoili. Thansk for sharing! Thank you! Ok, your egg recipes sound divine - anchovy aioli? Love it! Eggs are just the best.